MONDAY, April 10, 2017 (HealthDay News) -- Alzheimer's patients given sedatives such as Valium or Xanax may have an increased risk for pneumonia, a new study warns. People with Alzheimer's disease are often given these drugs, called benzodiazepines, over the long term, the researchers said. Examples of benzodiazepines include alprazolam (Xanax), clonazepam (Klonopin), diazepam (Valium), and lorazepam (Ativan). "An increased risk of pneumonia is an important finding to consider in treatment of patients with Alzheimer disease. Pneumonia often leads to admission to hospital, and patients with dementia are at increased risk of death related to pneumonia," Dr. Heidi Taipale, of Kuopio Research Center of Geriatric Care at the University of Eastern Finland, and co-authors wrote. For the study, the researchers reviewed data from nearly 50,000 Alzheimer's patients in Finland. The patients' average age was 80 and about two-thirds were women. The study found that people with Alzheimer's who took benzodiazepines were 30 percent more likely to develop pneumonia than those who weren't given the sedatives. The risk of pneumonia was highest in the first 30 days after starting the drugs, the findings showed. Because benzodiazepines are sedating, it's possible that people taking them may breathe saliva or food into the lungs, increasing the risk of pneumonia, the study authors suggested. Taipale's team said the benefits and risks of these drugs -- including pneumonia -- need to be carefully considered before giving them to someone with Alzheimer's disease. The study was published April 10 in the CMAJ (Canadian Medical Association Journal). 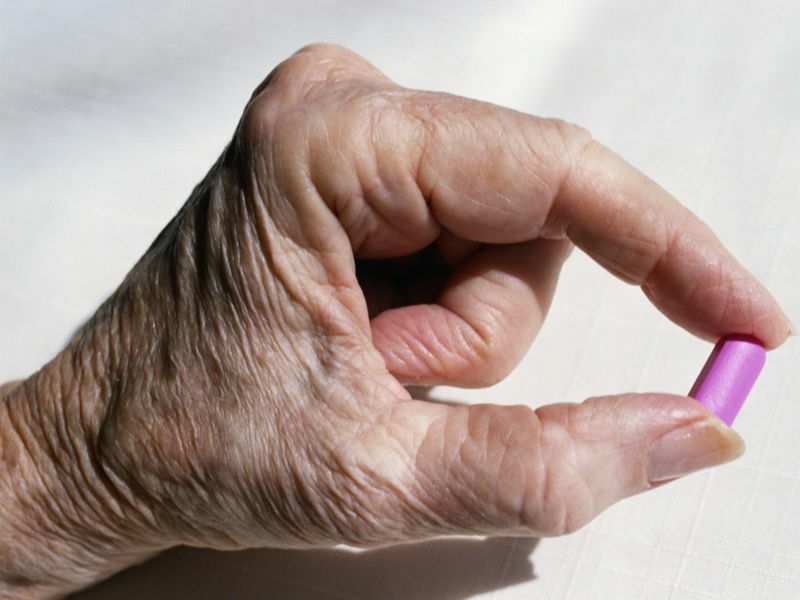 The study is "a good reminder to clinicians to 'first do no harm' when prescribing these drugs for frail older women and men with dementia," Dr. Paula Rochon and her co-authors wrote in an accompanying editorial in the journal. Rochon is from Women's College Hospital and the University of Toronto. Non-drug "approaches should be the starting point when managing neuropsychiatric symptoms in this patient population, which should help to limit inappropriate use of these drugs," the editorial authors said.